Tummy time is so important for babies to build a foundation of core strength that will help them in many motor developmental milestones. 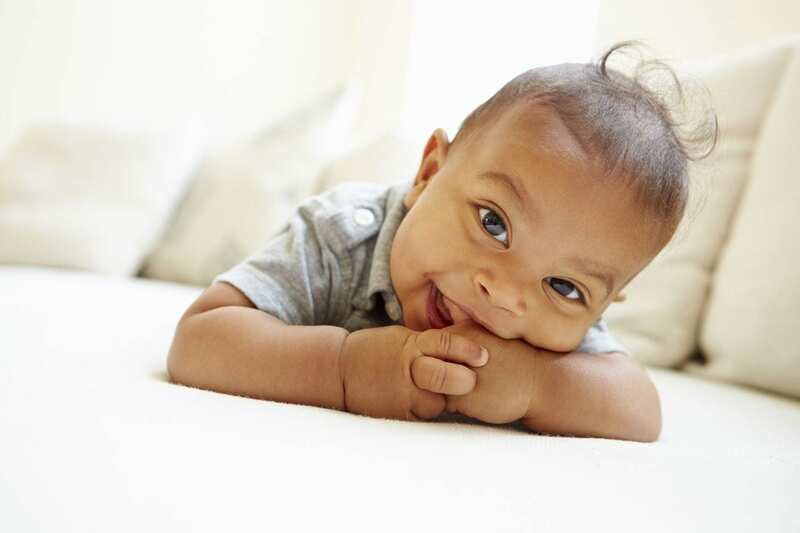 Babies can start as soon as they are born for just a few minutes per day and this should increase every day until they are getting up to an hour a day of tummy time per day by three months of age. Babies can be placed on a bed or sofa or floor on a blanket for tummy time. You can get down on your baby’s level and encourage him to lift his head and make eye contact with you, building those neck muscles. You can also sit in a chair and place your baby on her tummy across your lap on lie on the bed or sofa and put your baby on your chest on her tummy. Talk to her in this position so she lifts her head and makes eye contact with you. Babies need to sleep on their back, but during awake, alert play time, tummy time has many benefits! Babies develop from head to toe, so they need to establish neck strength before they can have strength, stability and dexterity in their arms and hands. Tummy time helps to build neck strength because babies lift their head and turn it from side to side. Babies need core strength to prepare for rolling, crawling, sitting, and walking and tummy time helps to develop core strength. Every time your baby pushes up onto their hands or pulls their knees up under them in tummy time, they are strengthening their shoulders, hips, abdominal and back muscles. Babies who get plenty of tummy time usually have beautiful, round heads with no flat spots or bald spots. Babies who spend a lot of time in containers such as car seats, swings, and other chairs are susceptible to flat heads from compression on their skull. Tummy time helps with visual development. While on the floor with their toys very close to them, directly in their line of vision, babies get more experience with focusing and tracking. Babies who spend a lot of time in tummy time usually have better sensory processing. They are experiencing the sensation of the carpet, floor or blanket against a large portion of their skin and the palms of their hands. This helps them process this feeling and feel more comfortable with textures against their skin. Tummy time is sometimes the only time of the day when babies’ legs are stretched out, fully extending baby’s hip flexors. This is important for symmetry with crawling and walking. Babies who spend adequate time in tummy time are less likely to develop torticollis, which is a tightening of the neck muscles that make it difficult for babies to turn their heads. Remember, tummy time should always be supervised and it is normal for your baby to fuss a little bit. Try to entertain her, keep the sessions short at first, and add more time as she tolerates it. She will thank you later! Tooth Decay: What are Nursing Caries?